for the victims on Pan Am Flight 103, his other multiple acts of terrorism, or his pointless and bloody interventions across Africa. like this one, could have done better. agriculture in which Gaddafi comes to the conclusion that men do not menstruate, nor do they breastfeed children, and that this is a difference between men and women. speech Gaddafi meant to address to the hall and which were him talking to himself? alternately to unite Africa or revive the Caliphate. Across Africa, and as far away as Pakistan, there were those who would acclaim him and regard him in the manner he clearly felt to be his due. What they wanted of course was the cash. was not merely a clown. But the pandering to Gaddafi’s whims cannot but have helped prolong his view of himself and so prolong the misery through which he put his people. lawns, the misconception that there were different rules for him — that he was a case apart — can only have hardened. thanked the ‘excellent management of the university’. independent-mindedness. Would it not all confirm what you had always thought? 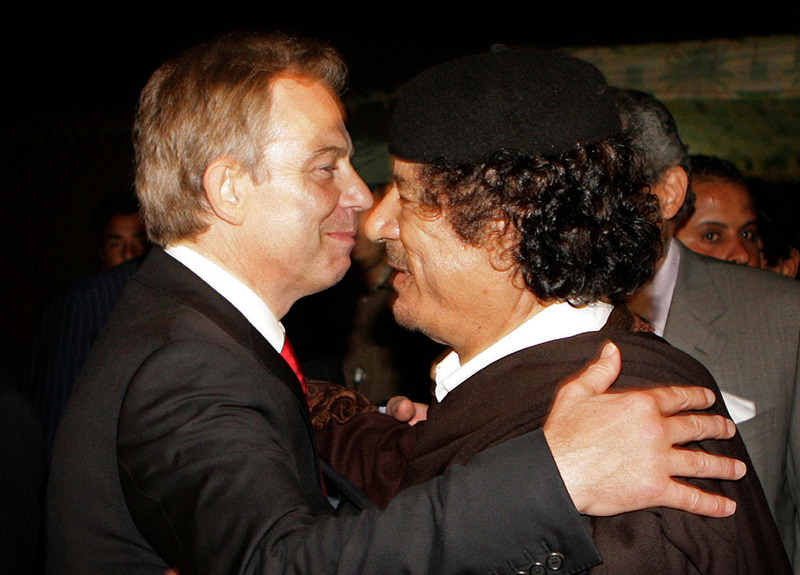 That you, Gaddafi, were truly loved and that the world was fortunate to have you and your leadership? He repeats this for last refrain for a while before collapsing, pale and sweaty. There will be dictators in the future. Some may be as deadly and perhaps even as silly as Gaddafi. Now that we have seen his end we can see even clearer that there never was much to learn from him. But it would be proper for there to be some reflection in countries like ours over how we treat such tyrants when we meet them in the future. What difference will sanctions make?